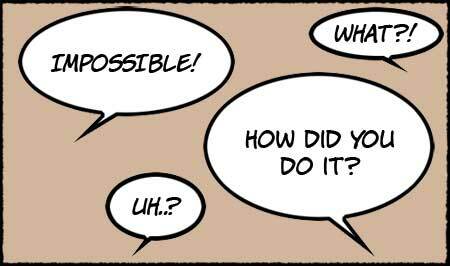 One method to get a speech bubble in Photoshop is to draw an elliptic selection, add a tail to the bubble by using the polygonal lasso tool, then fill the selection with white. Finally, you add a black stroke effect around it all and hop, you’re done! Well, it actually becomes tedious after the third one… So I wrote this script for Photoshop; all you need to do is draw the ellipse and run the script (as an action). And voila! Instant speech bubble!